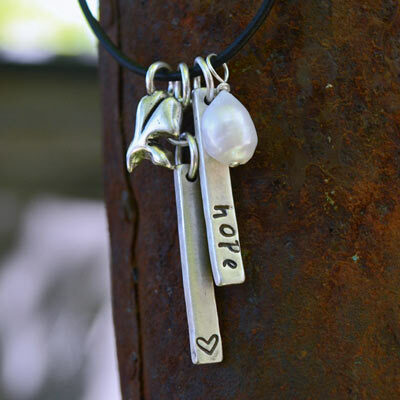 Romans 15:13 is the inspiration for this necklace. 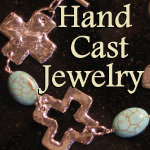 The front has our hearts being filled by the Holy Spirit which is represented by the Dove charm. When this happens we have hope. The back of the 2 sterling bars say joy and peace respectively. A beautiful reminder of a wonderful verse. The sterling silver charms are 1 5/8" x 5/8" on a 16" leather with silver clasp.